As Hannah grows older, she's starting to learn all the fairytales - their stories and their characters. So she really loved seeing most in the new movie from Shout Factory - The Seventh DWARF. I like any movie that has a song about birthday cake so near the beginning. In fact, I loved this movie's entire soundtrack - Hannah especially loved the witch's song which we listened to 10 times in a row. Everyone will love Bobo, the youngest dwarf who's shoes are always untied, and Burner, the dragon without fire. The movie runs 88 minutes long and includes special features such as Character Profiles, Sing-Alongs and a Downloadable Royal Birthday Invitation. 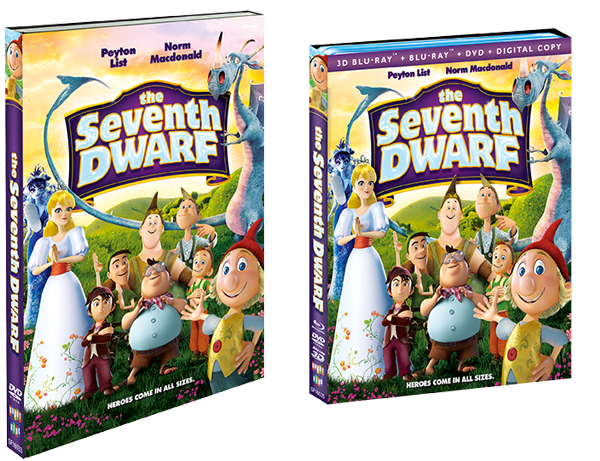 The Seventh DWARF is available now, in stores and on iTunes. Make sure to like the Shout Factory Facebook page and follow them on Twitter to learn about more upcoming releases. 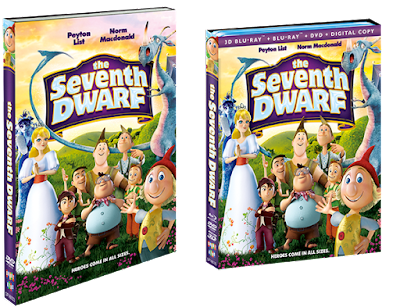 One lucky YYZ Bambina reader will win The Seventh DWARF. Make sure to enter by September 5th, 2015. Definitely with Miss R. Think she'll love it. My whole family. We like cute family friendly movies. I would watch this with my little cousins. I'd watch this with my niece. I will watch it with my kids.